Recently, we finally found a long-sought-after commodity in Leeds. Blood. They sell it by the bag at the international supermarket. 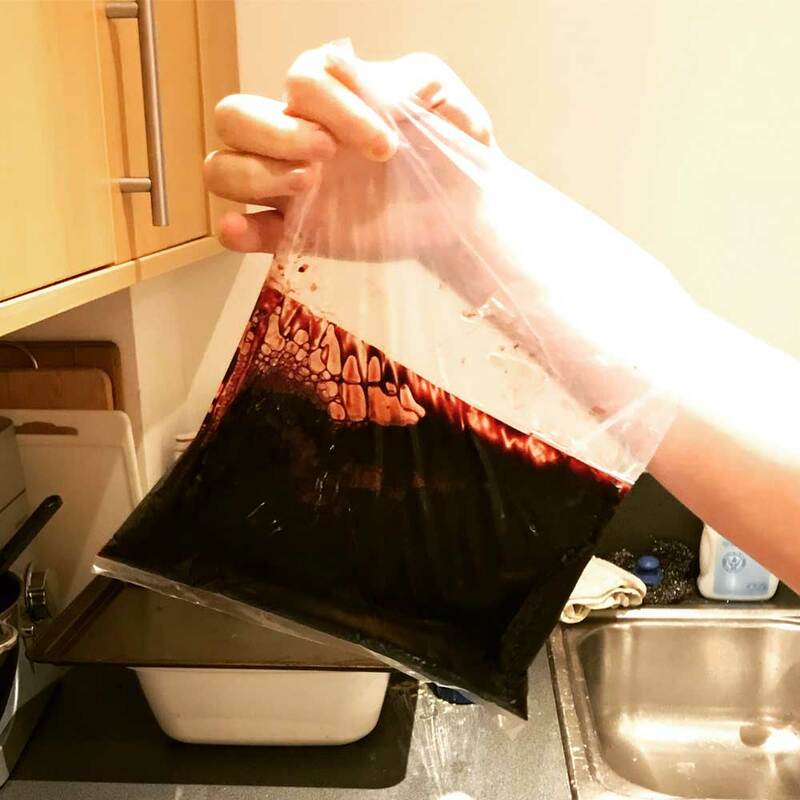 “What do you do with a bag of blood?” you ask. 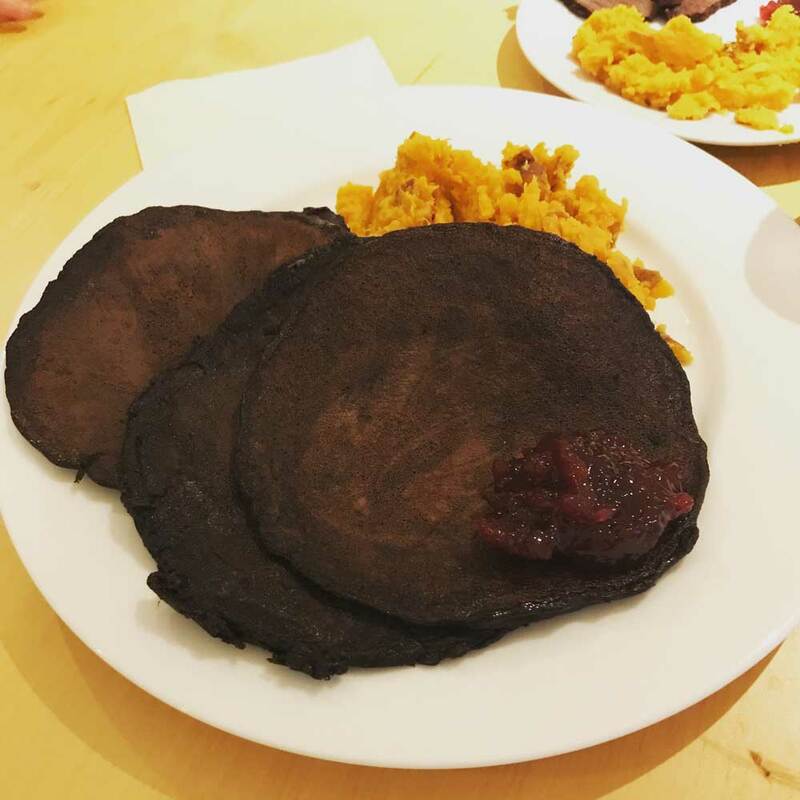 Why, make blood pancakes, of course. I was a little skeptical, I think partially because of Elina’s reassurance that I didn’t have to eat all of them. Having tasted them, I would describe them as okay. They taste a lot like Scotch pancakes and go well with lingonberry jam. 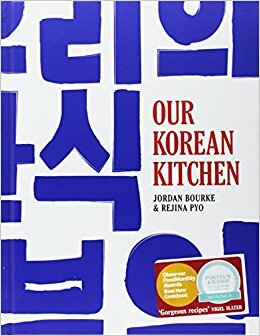 Our Korean Kitchen is a cookbook by Jordan Bourke and Rejina Pyo. It sounds exciting, but honestly, it’s not. I just can’t make much from this book. Everything is too difficult. There is always a question of authenticity vs practicality. Some people may have preferences either way. Mine is probably towards the latter. I want to make stuff from a cookbook. If that means dumping it down for British people, I’m for that. The recipes I did manage were total winners. The bulgogi is delicious. Elina loves the warming chicken and potato stew. But I’m not sure where to go after that. Have you tried making your own kimchi? It’s not straightforward. 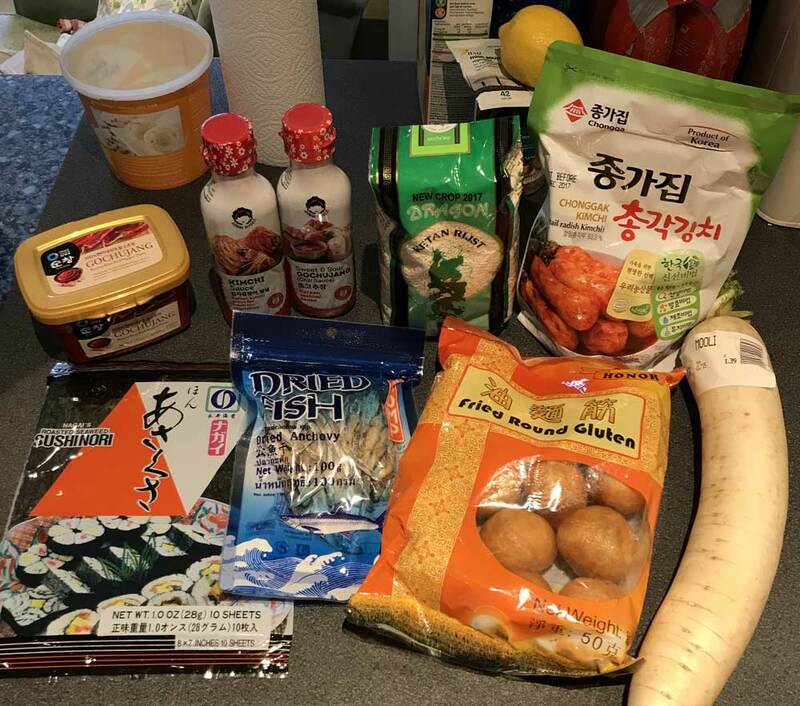 I thought I had really put the effort in after I spent an hour in the international supermarket chasing down gochugaru paste, kimchi sauce, muli and half a dozen other ingredients. But it wasn’t enough. If you are someone with a lot of determination, you can probably get a lot out of this book. But if, like me, you are time limited and not entirely sure how to use doen-jang soybean paste, you might struggle with this book. 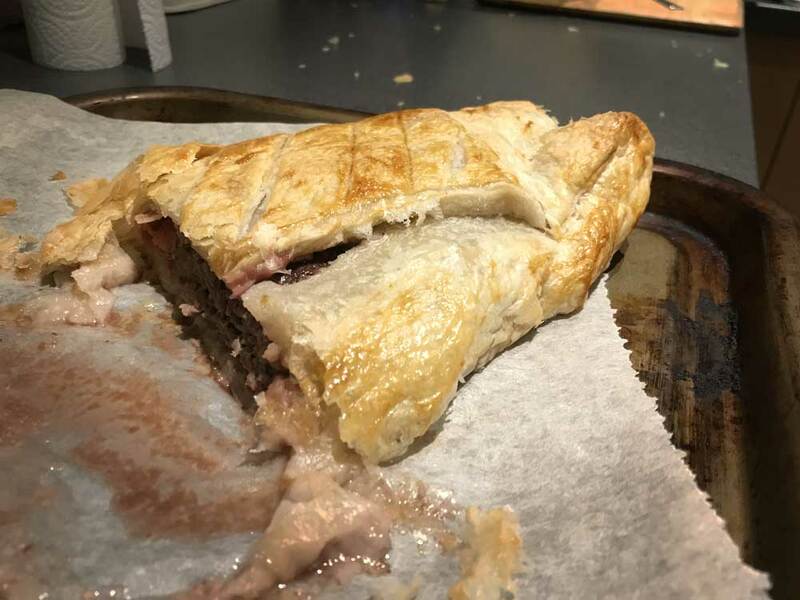 I tried my hand at a beef wellington. It looks more like a sausage roll, largely due to me using pre-cut fillet steak, rather than an entire fillet. At £30 a pop for one, I think I’ll live with the shape. 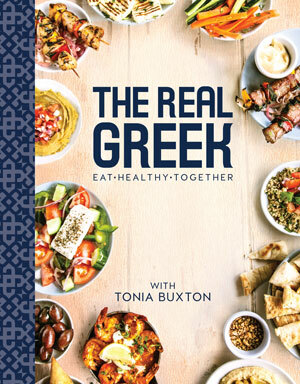 With a name like The Real Greek, you would expect Tonia Buxton’s cookbook to offer authentic recipes. Does it? Well, that depends on how accurate greek stereotypes are. Everything had feta cheese in it. So, if that is genuinely all Greek people eat, then yes. It’s a book of simple recipes. If you want to know how to make a beautiful Greek salad or marinate some spicy kebabs, it is full of that stuff. And often, you do just want to make something simple and delicious, so it works well. The number of actionable recipes was mixed. 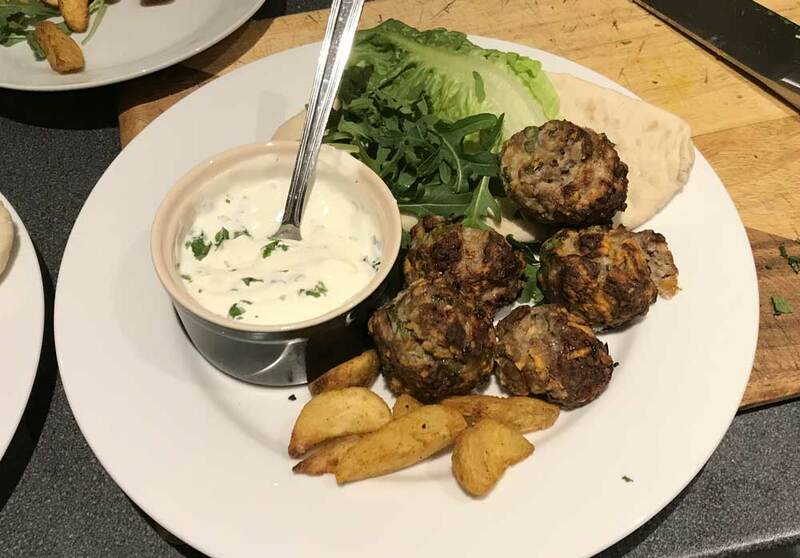 I’ve made a bunch of skewers and stuffed some burgers with feta cheese. 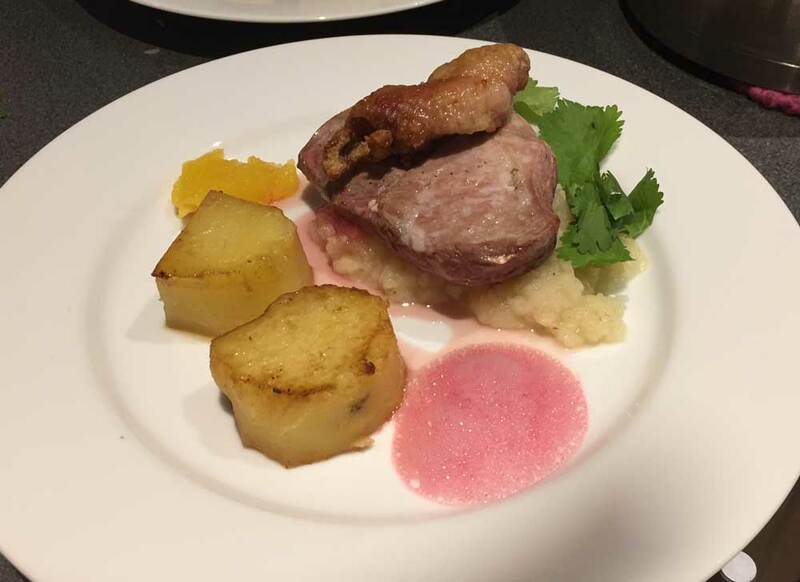 But, despite a range of other dishes, not much else took my fancy. At first, it felt there was very little, although, on going back through them, I have enjoyed several other recipes, too. It doesn’t match up to the likes of Hugh or Mary Berry, but I have added a handful of recipes to my repertoire. 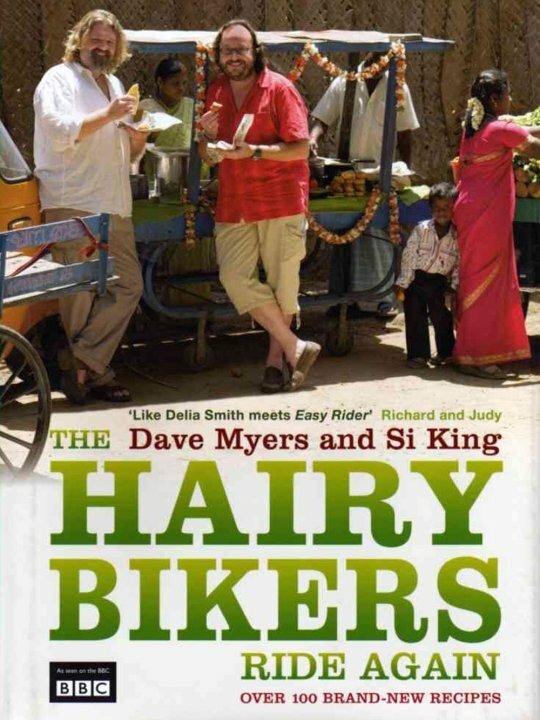 The Hairy Bikers Ride Again is a cookbook by Dave Myers and Si King. They spend their time riding around the world on motorbikes, finding new recipes and cooking. And then distilling this into books and TV shows. In this instalment, they go through India, Argentina and Morocco and Belgium. It’s an okay cookbook. It’s not your usual type: it’s split between them talking about their travels and then there is a bunch of recipes. Whether this is a good thing or a bad thing will come down to your personal preferences. 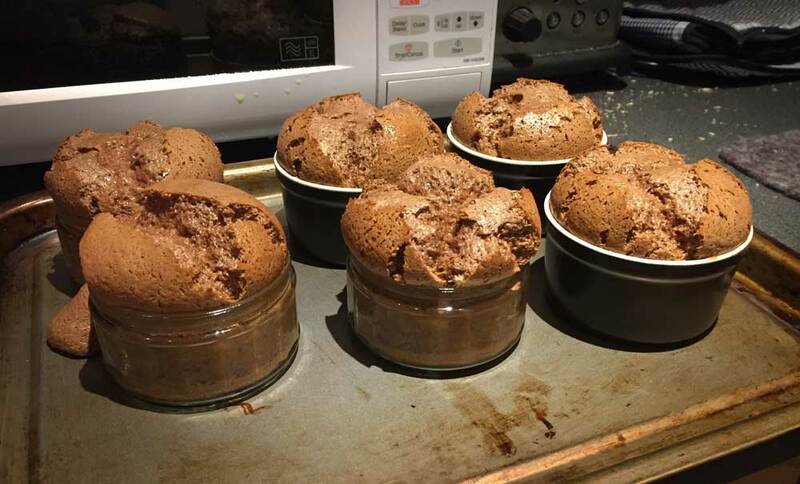 The recipes worked well. They felt a little safe but produced predictably nice food. Nothing has made it onto my “recipes to come back to” list, but both the vegetable and paneer curries are definitely close. 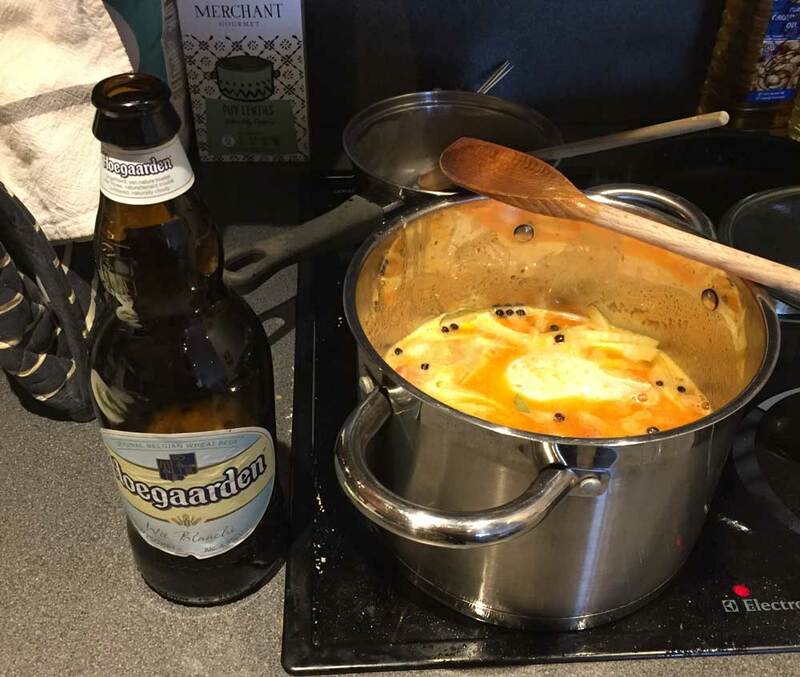 It’s my first time cooking with Hoegaarden. It is producing some interesting colours. Since finally giving in and watching MasterChef, I’ve been busy trying to up my game. Poaching pears, for example. And trying to make everything I put on a plate look a little prettier. 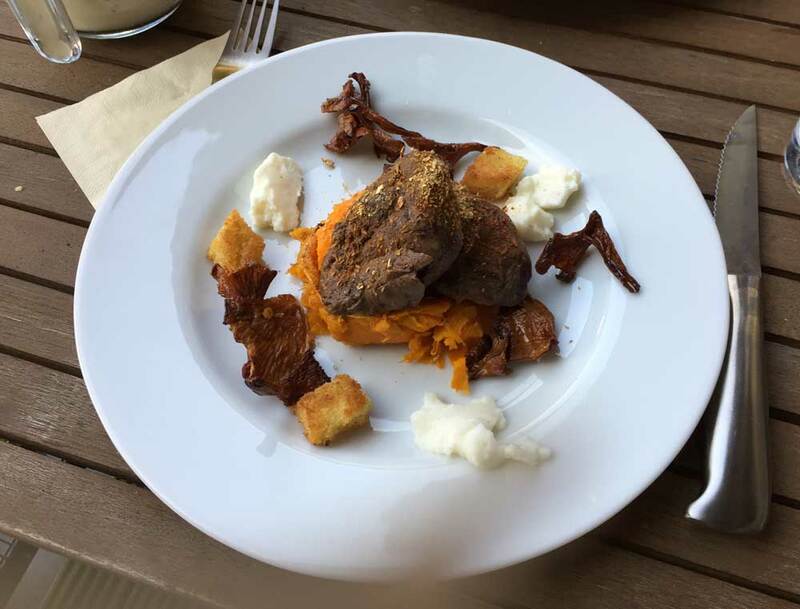 This is pigeon breast, served with a sweet potato mash, with croutons, milk gel and chanterelles served two ways: fried and powered. The same ones we picked up in mushroom town, for reference. My fondant potatoes are rather jagged. Do people use a cookie cutter to get perfectly round potatoes? The duck skin curled up while cooking. I scored it previous to this to try and prevent that, but without success. The cranberry foam was still quite liquidy, which rolled around the plate. 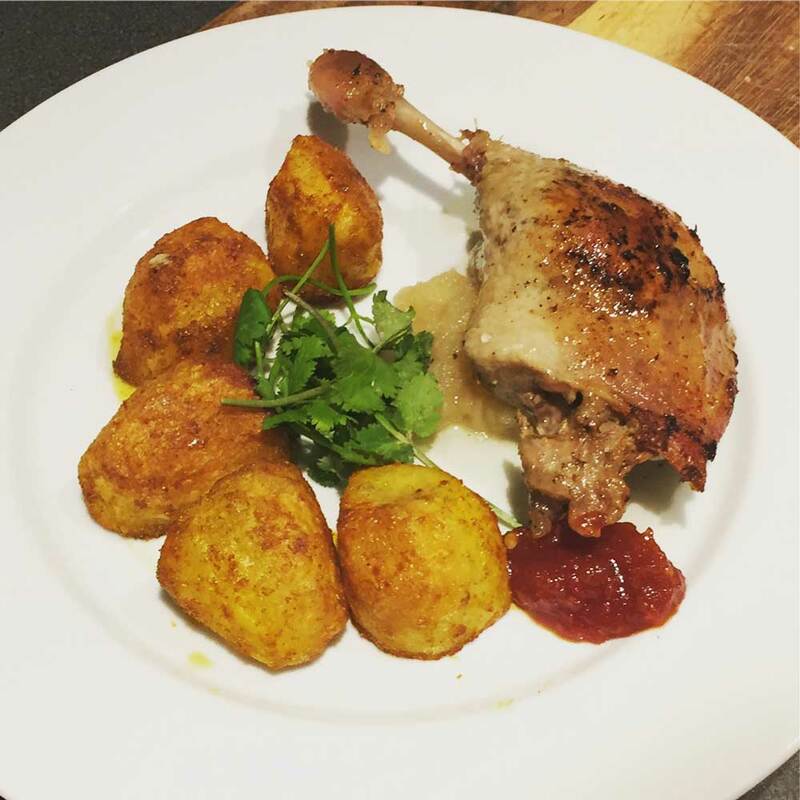 Confit duck on a bed of apple purée served with Asian roast potatoes, coriander and chilli jam. 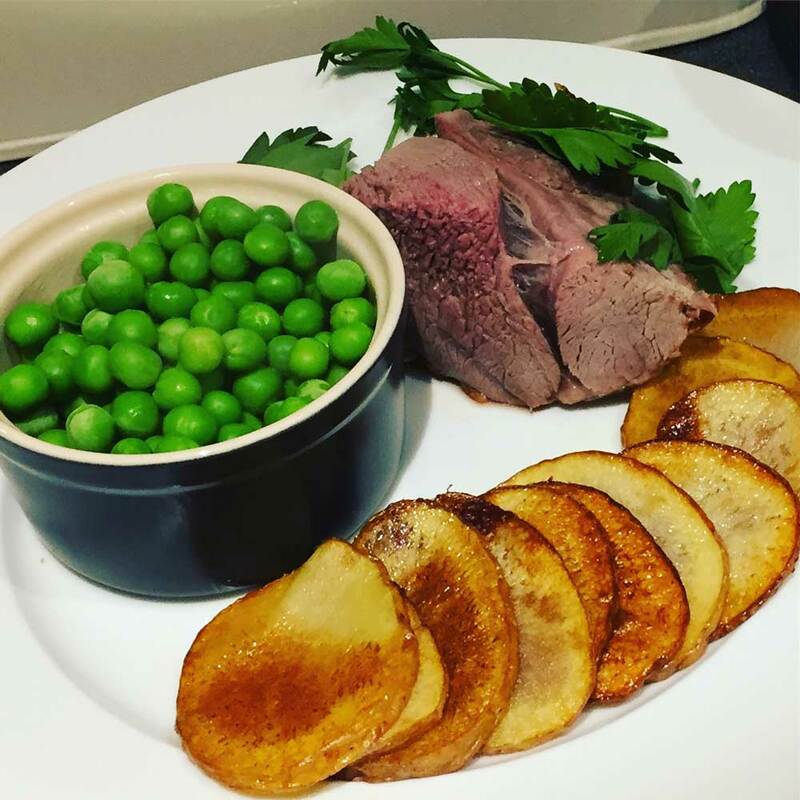 Lamb leg with parsley, fried potato slices and peas. I like this one because it is simple: plain ingredients, not overcrowded or covered in fancy nonsense, but it still tastes good. There are some weird combinations going on here. It’s fish and chips, with an added scallop, and some strawberries mixed in with the parsley. I served the chips in a separate bowl to avoid having to cram everything on to the plate. A lot of the stuff just needs practice: mastering the different techniques, for example, is something I need to work on. But the big takeaway for me is to put less stuff on the plate. It is impossible to be elegant when you are trying to ram too much food on there. In 1715, RR. Spink & Sons was founded. They specialise in smoked salmon and trout. And, to their credit, their smoked trout is very good. However, it is also a little misleading. 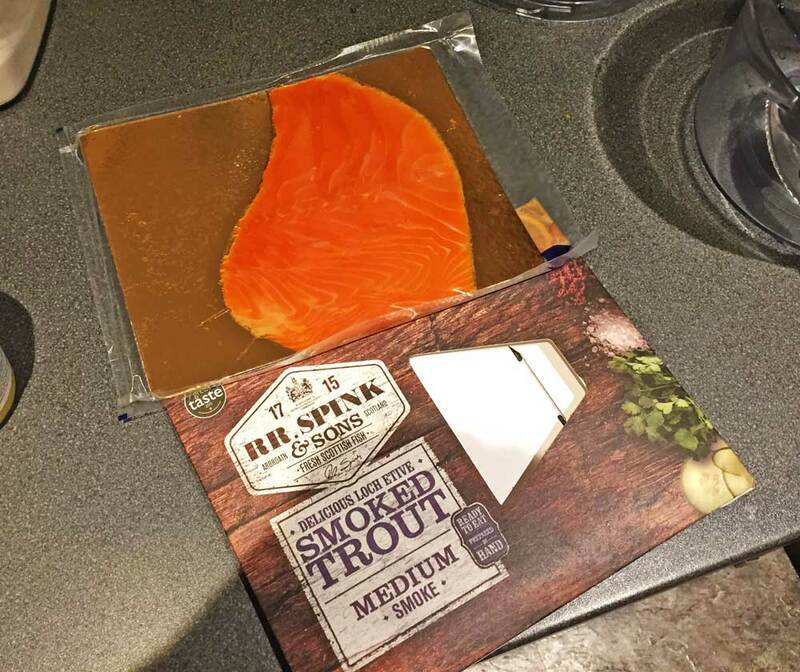 You will notice that their packaging has a window in it so that you can see the smoked salmon before you buy. Very nice it looks, too. 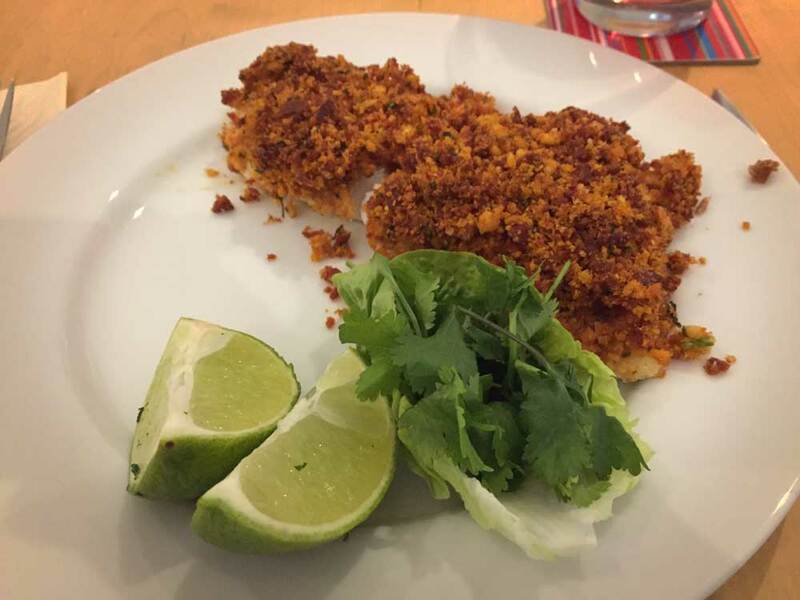 But you will also note that the trout has been carefully shaped to fill the window, while, in fact, about half the size of the packet contains no trout at all. Of course, you can see the weight on the packet. So you are not being duped in that respect. But I was rather surprised when I pulled it out to find so little of the cardboard covered. 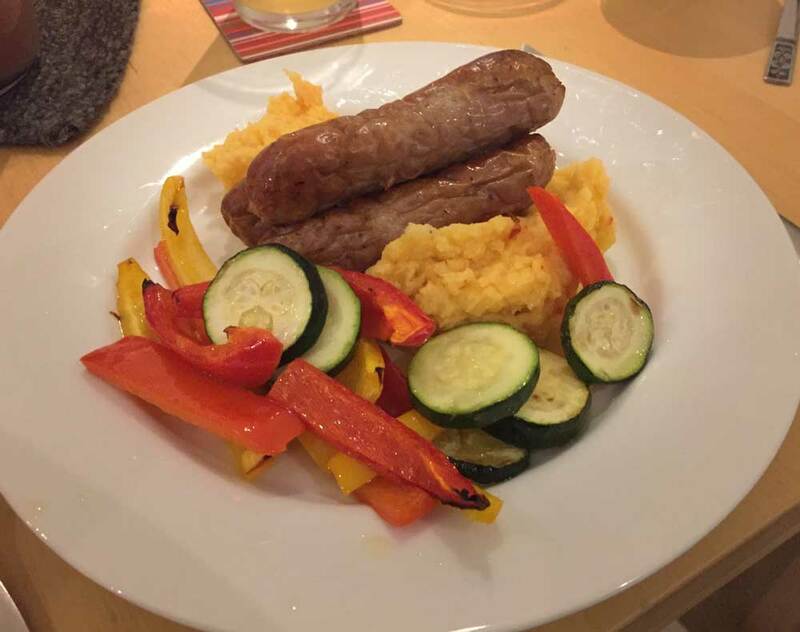 A lot of my cooking revolves around main courses. It is easy to slip into this pattern: I only do a three-course meal once or twice per week. 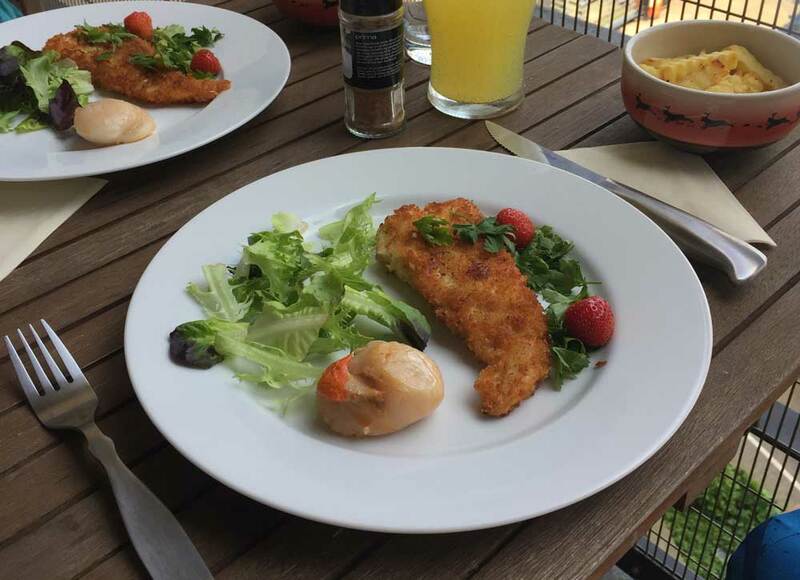 Therefore, a lot of the starter, lunch and dessert recipes get forgotten about. However, I have been making a conscious effort to expand this. 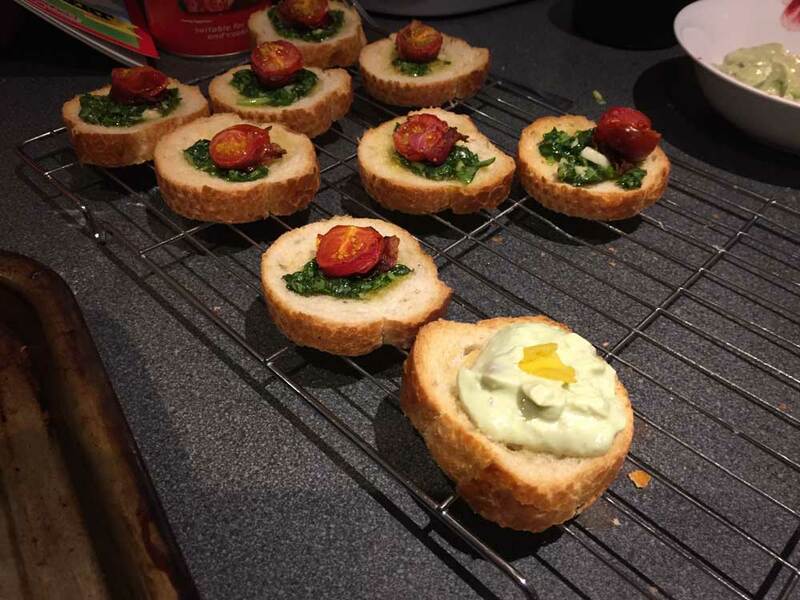 Adding some new canapes to my repertoire seemed a good direction to go. 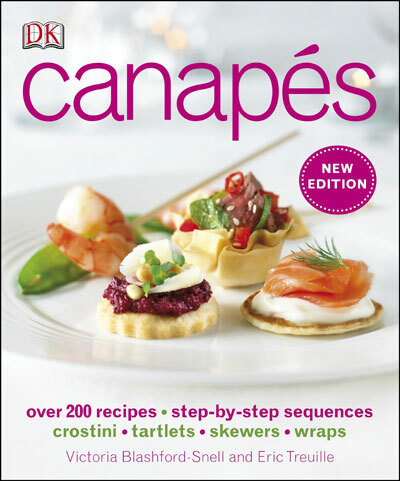 A lot of the recipes in this book were too fiddly for me to bother. However, there are some firm favours. The Asian pork balls, for example. And the mini-burgers were not that difficult either. Pancetta and tomato with basil pesto crostini, and a citrus avocado puree crostino. All in all, I’ll give this the thumbs up. 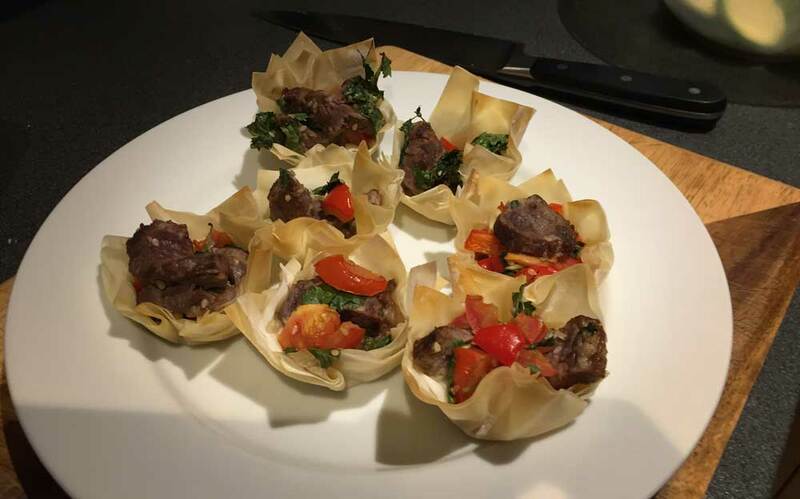 It has provided me with some great little recipes. 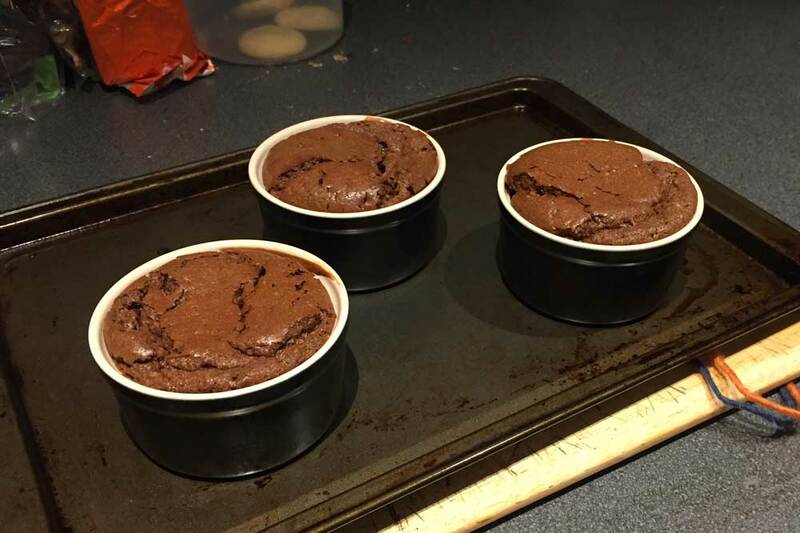 My first batch didn’t rise much and collapsed quickly when I took them out of the oven. It wasn’t a lack of time because I baked this one to death. 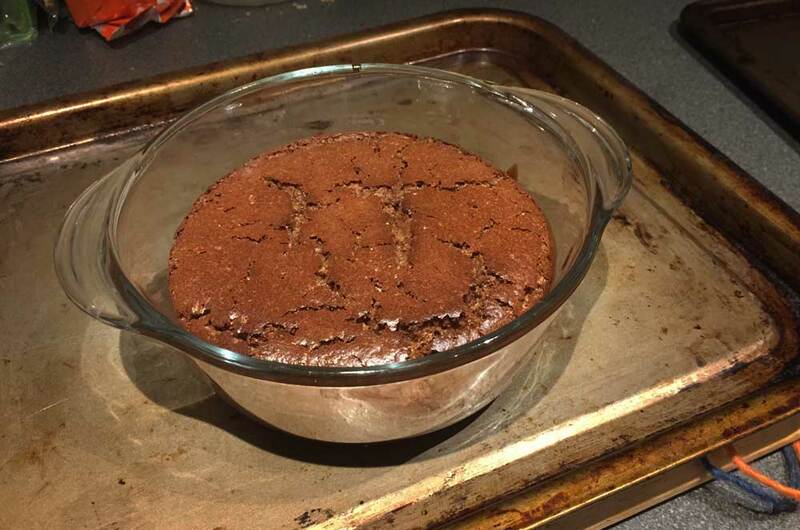 For attempt three, I used Gordon Ramsey’s recipe. It was tediously complex. There were so many stages. But, as you can see above, it did produce better results.